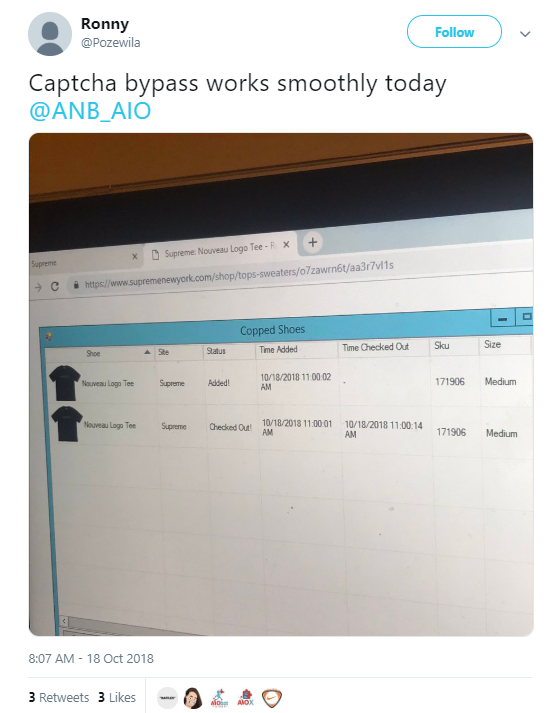 Using the Supreme Bot by ANB, You’ll Never pay resale for Supreme again! 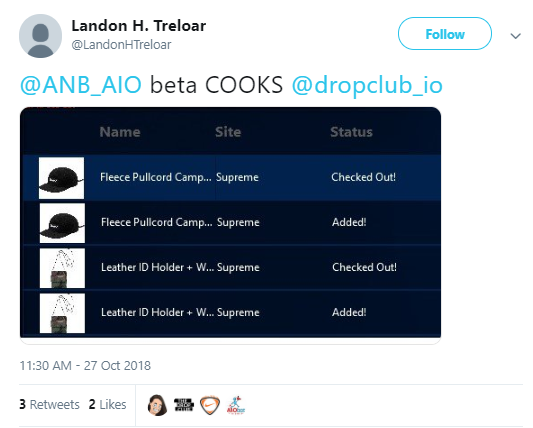 Secure any item from any droplist during any season. At Retail! 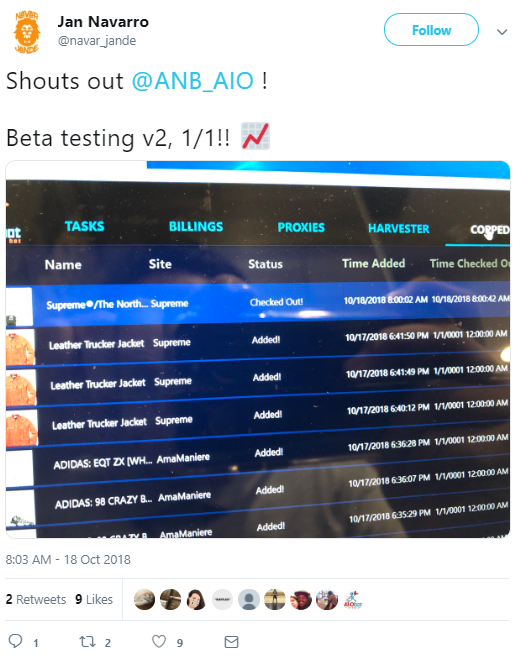 Cop from Supreme London or Supreme New York, and join our successful users who made thousands of dollars flipping what they copped. 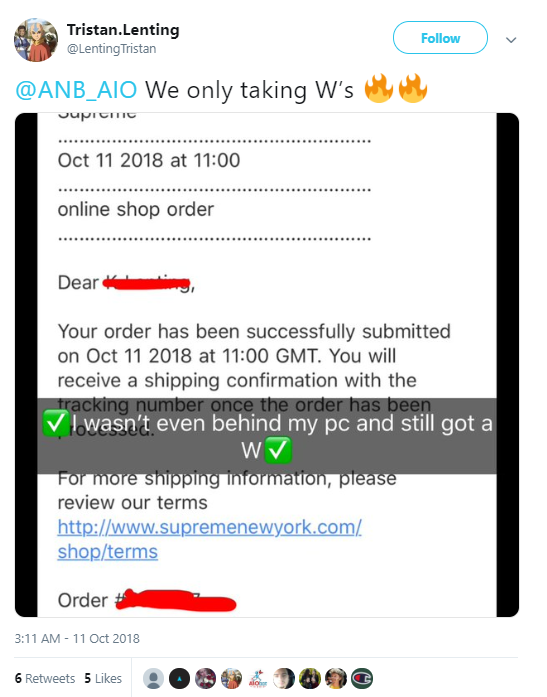 Using our Supreme Bot you never have to camp outside Supreme stores again! 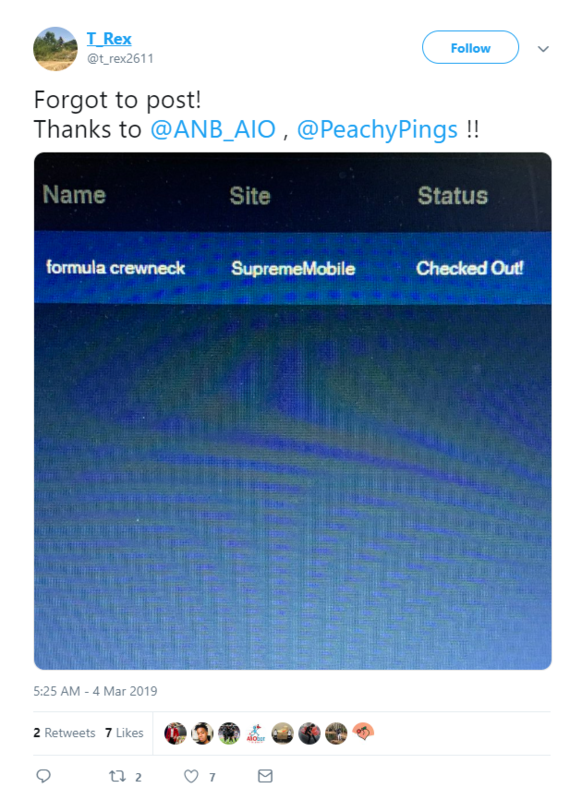 And if you need proof, check out our latest success here. 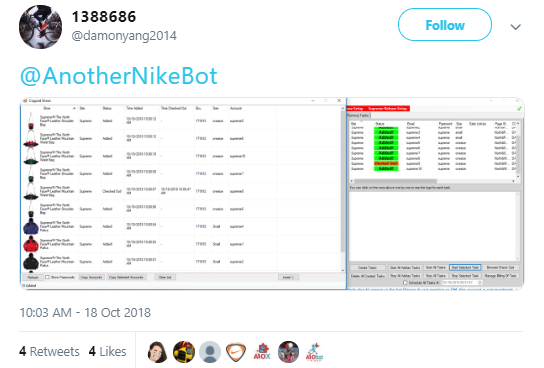 Page monitor: The moment the items are loaded on the site, the bot will detect your desired items and automatically ATC and Checks out. Supreme, one of the most renowned high-end streetwear brands. What started in 1994 as a small skateboard store on Lafayette Street in New York City, became a luxurious streetwear brand releasing limited edition apparel items and accessories. 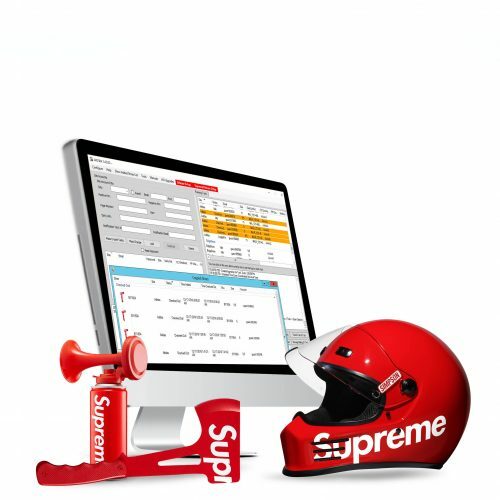 With time, Supreme collaborated with the world’s most luxurious brands. 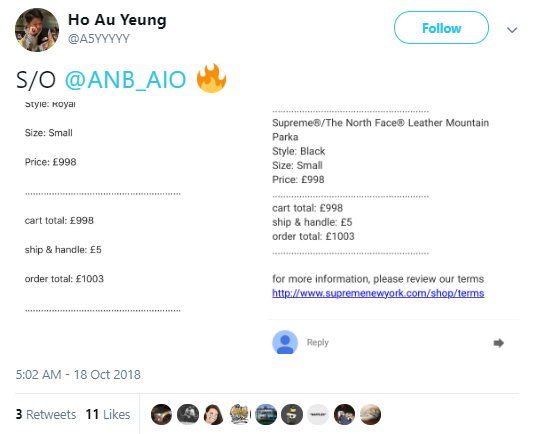 Louis Vuitton, Comme De Garçons, The North Face and many more collaborated with Supreme to give streetwear fans items worth copping, wearing and selling. 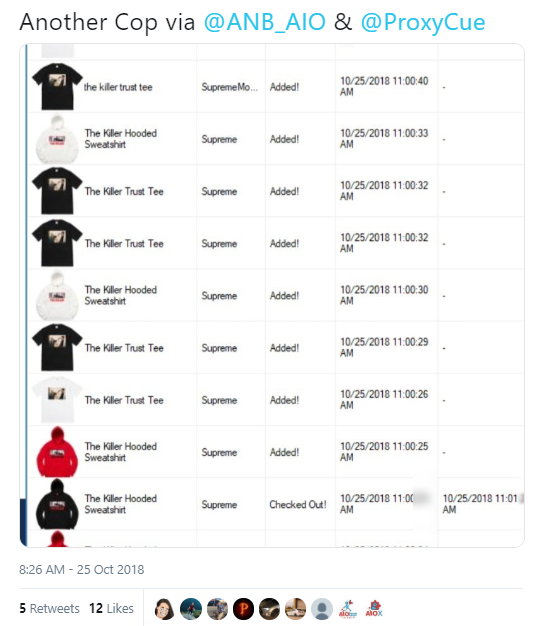 Supreme items are always items are Expensive. Limited. Highly-desired. 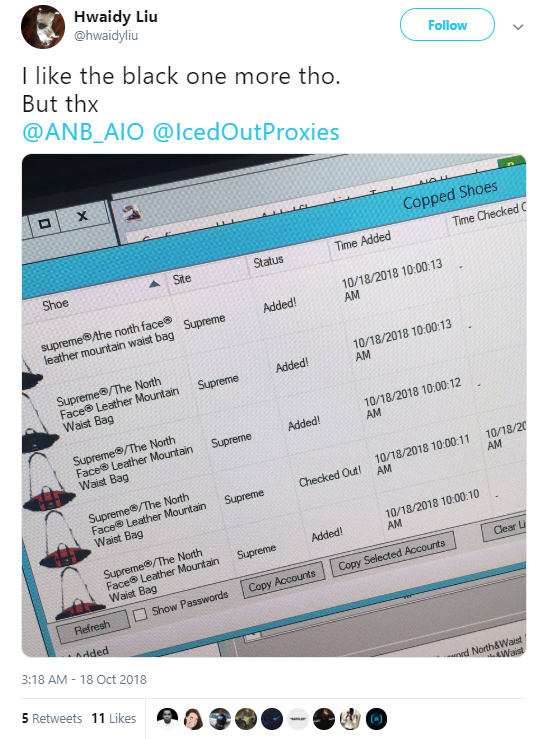 This made Supreme items very profitable when sold on the secondary market. 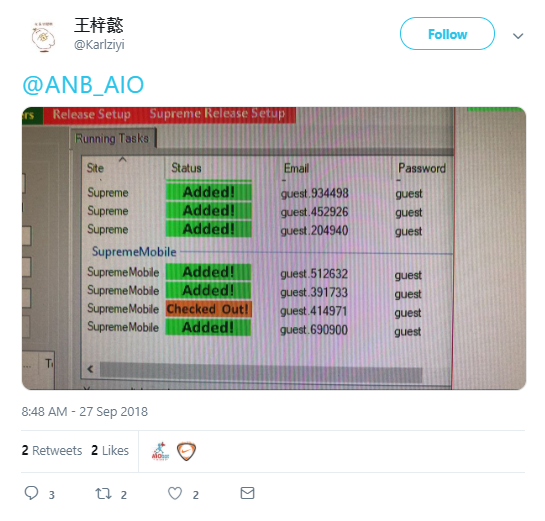 Reselling Supreme actually became a real job for fans who would do anything to secure the items they desire. 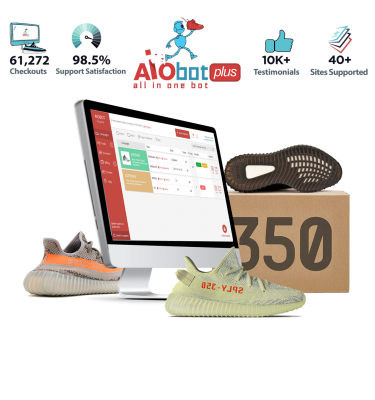 And using a Supreme bot is one of the most guaranteed ways to get to attain their goal. 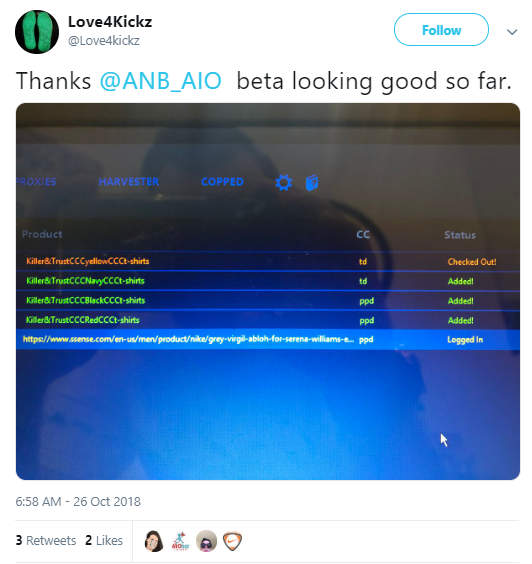 A bot is a software you use to help you perform certain tasks. Such as copping Supreme. 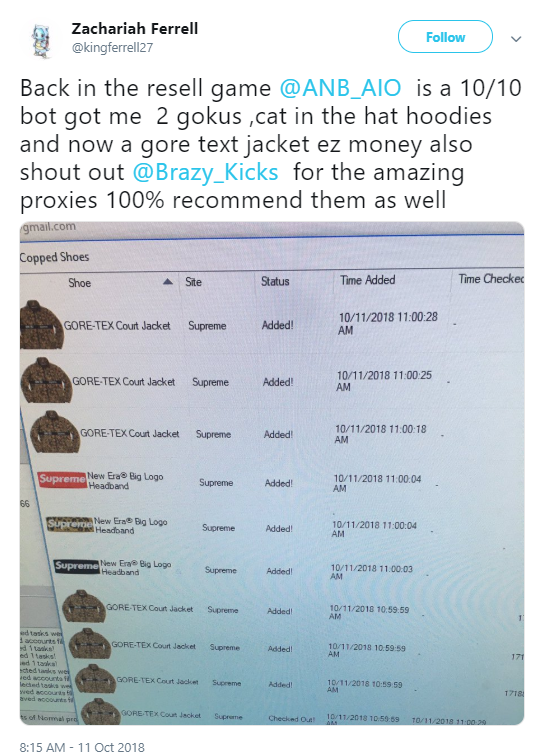 Therefore Supreme bots became a real thing in this industry and more streetwear fans are resorting to them. 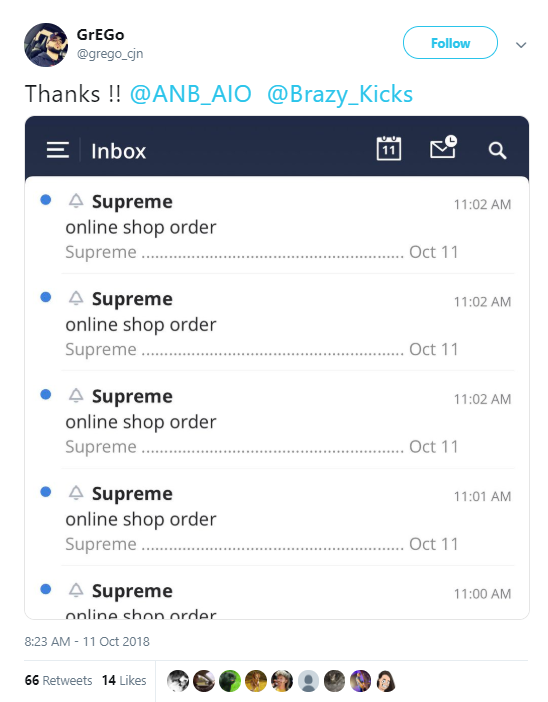 Using a Supreme bot you can go through the whole purchase process quickly and effortlessly. 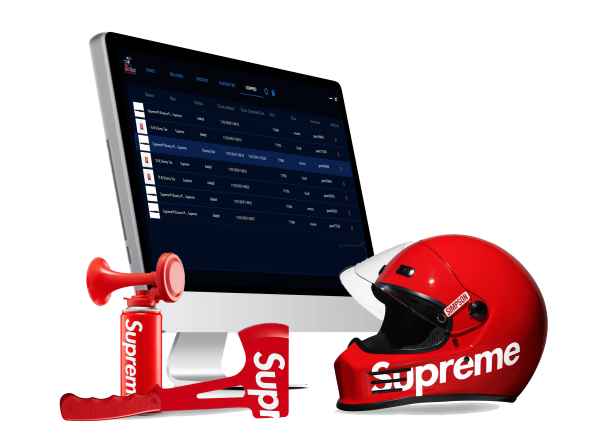 You only need to input your information, and your Supreme bot will work step by step to get the items you desire. 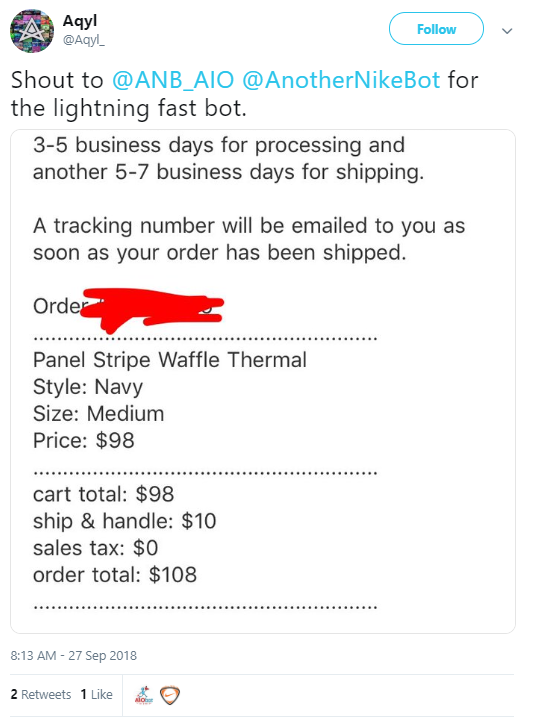 Not only does it work fast, but using a Supreme bot you can get more items than you could possibly, purchasing manually. 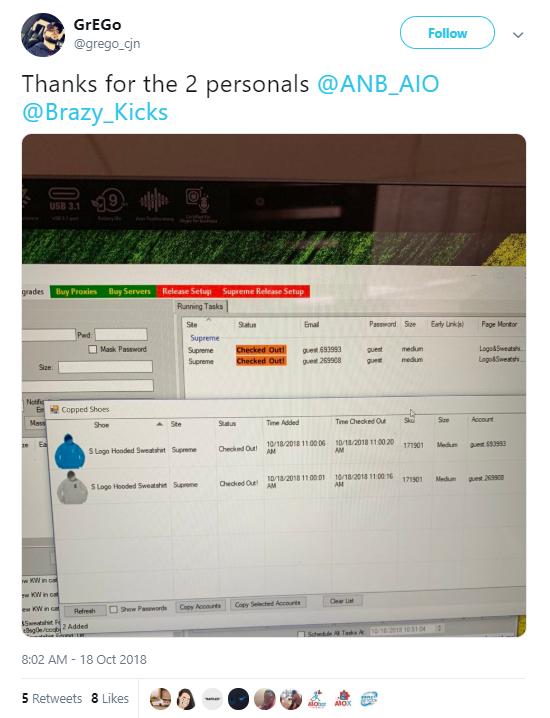 Thanks to Supreme proxies which you add to your bot, you get multiple chances at securing several items. 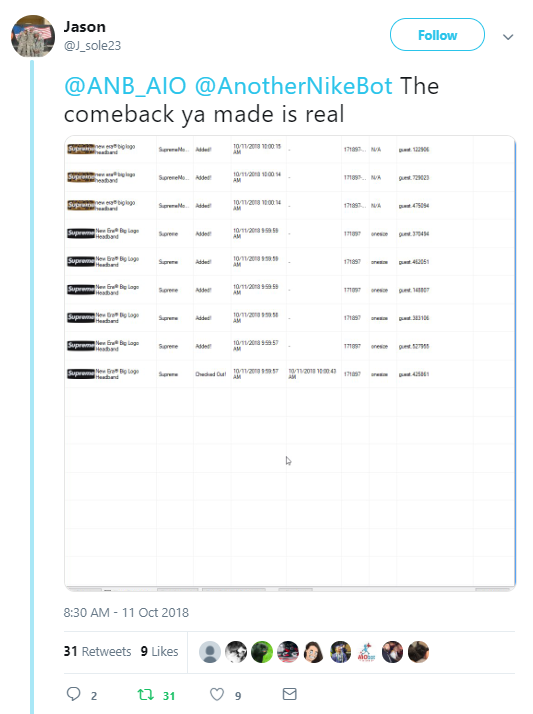 No risk of bans or canceled orders! 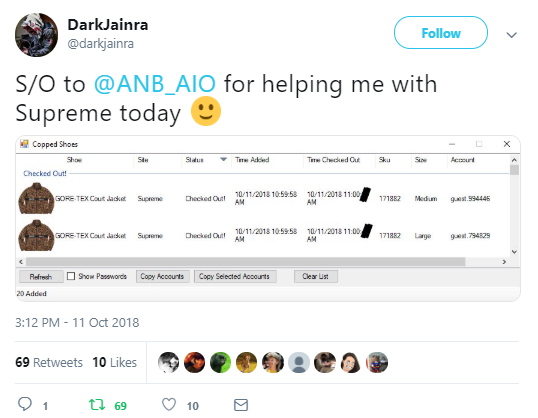 Here’s Why You Need One! 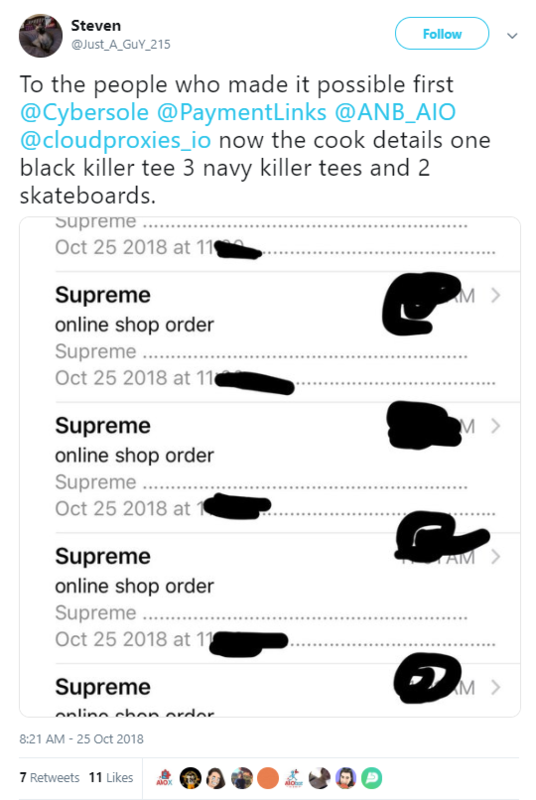 Due to high demand, Supreme items sell out in a matter of seconds. 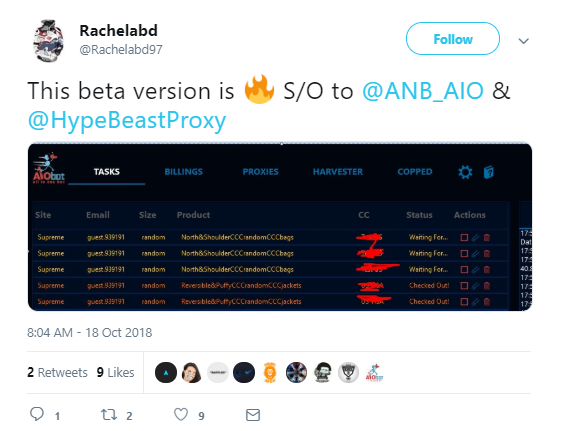 That’s why most users who try manually end up with nothing. 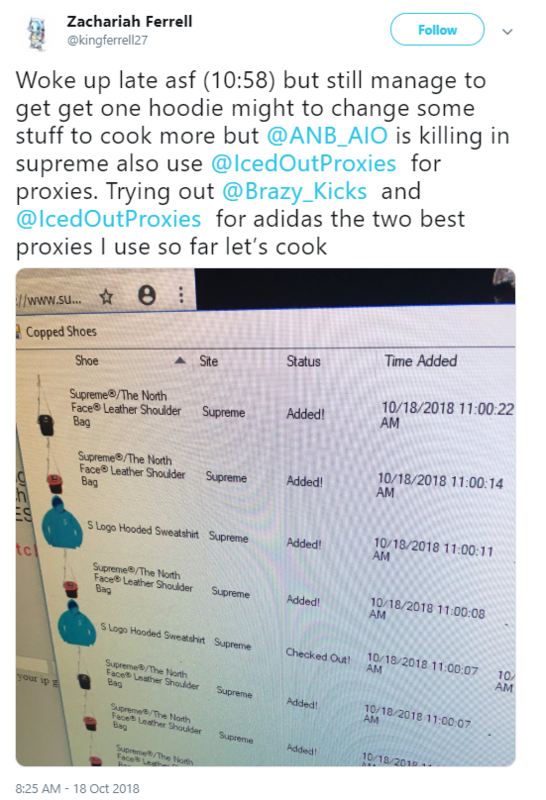 It’s impossible to compete with a Supreme bot when it comes to speed. 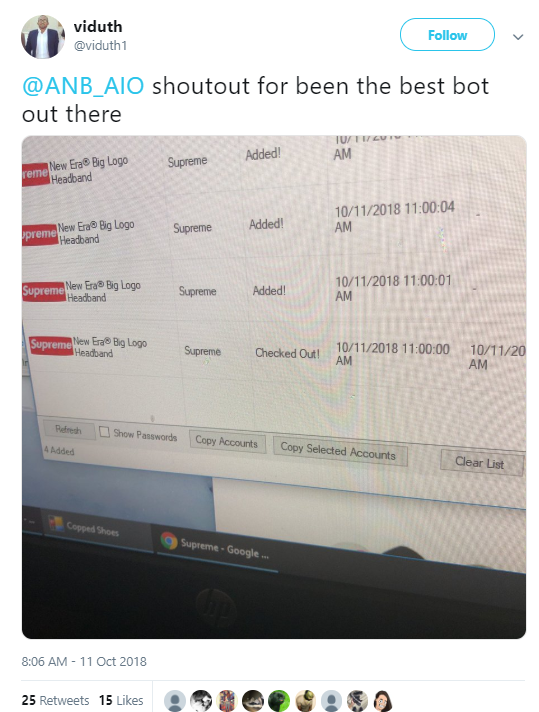 So if you really want to flex, or sell Supreme, you surely need a Supreme bot!